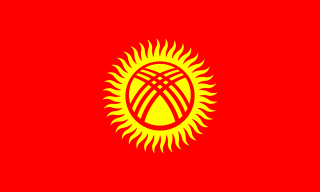 Kyrgyzstan, officially the Kyrgyz Republic, and also known as Kirghizia, is a country in Central Asia. 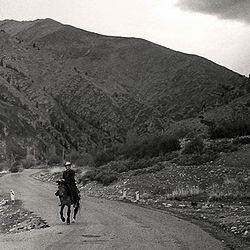 Kyrgyzstan is a landlocked country with mountainous terrain. It is bordered by Kazakhstan to the north, Uzbekistan to the west and southwest, Tajikistan to the southwest and China to the east. Its capital and largest city is Bishkek. Askar Akayevich Akayev is a Kyrgyz politician who served as President of Kyrgyzstan from 1990 until his overthrow in the March 2005 Tulip Revolution. The Tulip Revolution or First Kyrgyz Revolution led to President of Kyrgyzstan, Askar Akayev's fall from power. The revolution began after parliamentary elections on February 27 and March 13, 2005. 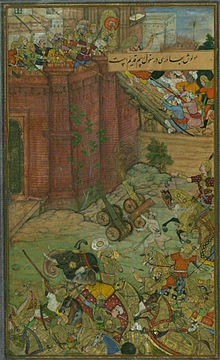 The revolutionaries alleged corruption and authoritarianism by Akayev, his family and supporters. Akayev fled to Kazakhstan and then to Russia. On April 4, 2005, at the Kyrgyz embassy in Moscow, Akayev signed his resignation statement in the presence of a Kyrgyz parliamentary delegation. The resignation was ratified by the Kyrgyz interim parliament on April 11, 2005. Roza Isakovna Otunbayeva is a Kyrgyz diplomat and politician who served as the President of Kyrgyzstan from 7 April 2010 until 1 December 2011. She was sworn in on July 3, 2010, after acting as interim leader following the 2010 April revolution which led to the ousting of President Kurmanbek Bakiyev. She previously served as Minister of Foreign Affairs and as head of the parliamentary caucus for the Social Democratic Party of Kyrgyzstan. Kurmanbek Saliyevich Bakiyev is a politician who served as the second President of Kyrgyzstan, from 2005 to 2010. Large opposition protests in April 2010 led to the takeover of government offices, forcing Bakiyev to flee the country. Kyrgyzstan held a presidential election on 10 July 2005. It saw a landslide victory for acting President Kurmanbek Bakiev, marking the end of his interim government formed after the previous president, Askar Akayev, was overthrown in the revolution in March 2005. Almazbek Sharshenovich Atambayev is a Kyrgyz politician who served as the President of Kyrgyzstan from 1 December 2011 to 24 November 2017. He was Prime Minister of Kyrgyzstan from 17 December 2010 to 1 December 2011, and from 29 March 2007 to 28 November 2007. He served as Chairman of the Social Democratic Party of Kyrgyzstan (SDPK) from 30 July 1999 to 23 September 2011. The Constitution of Kyrgyzstan is the supreme law of the Kyrgyz Republic. The constitution in force until 2010 was passed by referendum on 21 October 2007 and it is based on the first post-Soviet constitution originally adopted on 5 May 1993, a year and a half after the country had gained independence from the former Soviet Union. The 1993 constitution had been amended several times: first on 10 February 1996, then on 2 February 2003, and finally twice in quick succession on 9 November 2006 and 15 January 2007 after the Tulip Revolution of March 2005. The last two amendments were adopted under pressure from protracted public protests in the capital Bishkek, but they were annulled in September 2007 by the Constitutional Court, which restored the 2003 constitution and paved the way for another constitutional referendum in October 2007. The description that follows is based on the text of the October 2007 constitution. Kyrgyzstan–Russia relations is the relationship between the two countries, Kyrgyzstan and Russia. Bakyt Beshimov is a leader of parliamentary fraction and deputy chairman of Social Democratic Party of Kyrgyzstan. Bakyt Beshimov is a prominent opposition leader, famous for his liberal views, and speaking out against Kurmanbek Bakiyev's and Askar Akayev's regimes. A presidential election was held in Kyrgyzstan on 23 July 2009. The date was set after the constitutional court ruled that the extension of the presidential term from four to five years did not apply until the next presidential election, calling for elections by 25 October 2009; in response, a parliament committee proposed the July election date, which was then passed by the incumbent president Kurmanbek Bakiyev's Ak Jol-dominated parliament. Bakiyev had previously announced his intention to run for reelection. Bakiyev was re-nominated on 1 May 2009. The Kyrgyz Revolution of 2010, also known as the Second Kyrgyz Revolution, the April Events or officially as the People's April Revolution, began in April 2010 with the ousting of Kyrgyz president Kurmanbek Bakiyev in the capital Bishkek. 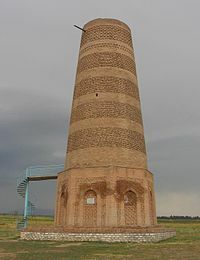 It was followed by increased ethnic tension involving Kyrgyz people and Uzbeks in the south of the country, which escalated in June 2010. The violence ultimately led to the consolidation of a new parliamentary system in Kyrgyzstan. Myktybek Yusupovich Abdyldayev is a Kyrgyz politician, and current member of the Supreme Council of Kyrgyzstan as deputy for the Bir Bol party.